For industrial CEE 17 outlet boxes installation. Compatible with 80 mm high lids of Trunkings 93, 80 mm width service pole socket boxes and 80 mm width service posts. In the Service Pole Socket Boxes and Service Posts 50 only can be installed 3 CEE17 outlets. The hole of the socket box will be covered by mounting one of the additional lids given with the said products. 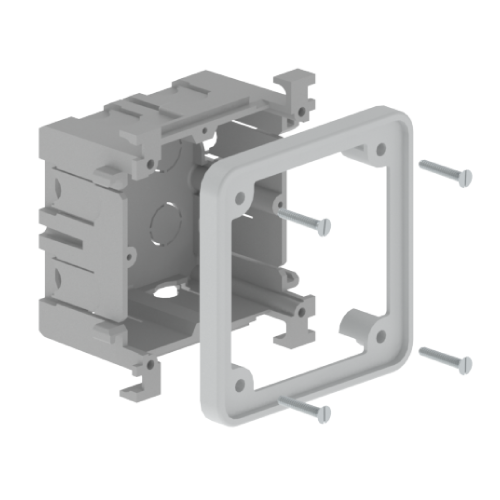 Its suggested to mount the 4 screws to fix the CEE17 outlet. Insulating material. Ease of installation. RRP: 14,89 EUR* / 1pc.